For two couples on the North Shore, Valentine’s Day means nothing. Not because they don’t like chocolate or roses, but because for them, every day is Valentine’s Day. 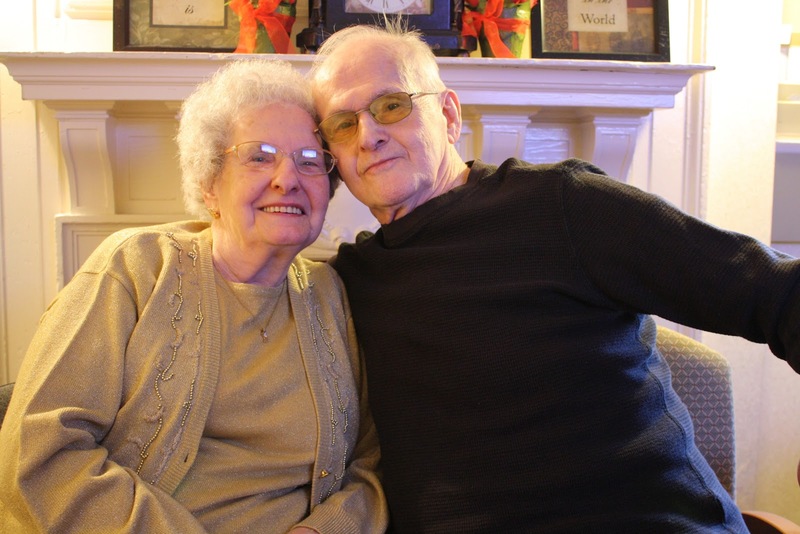 Bob Mizzy, 89, met his fiancé, Nancy Johnson, 90, both of Beverly, seven years ago at the Beverly Council on Aging and Senior Community Center. They sat across from each other at a bingo table. “I looked over and said, ‘That’s a nice looking young lady,’” Mizzy said. Mizzy asked Johnson out to dinner, and after an “I’ll let you know,” Johnson eventually said yes. Two years later, on Nov. 9, 2009, Mizzy proposed to her with a ring that was placed in the center of a box of chocolates. Though both had been married before, neither was expecting to find love again. The couple now lives together in Beverly and enjoys reading and socializing at the Community Center. This Valentine’s Day, they will attend the Center’s party. 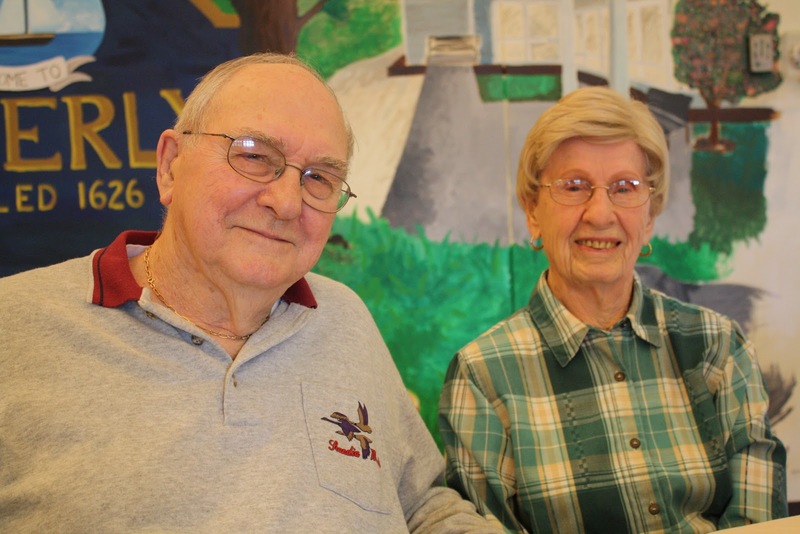 Twelve miles north on Route 128, John Richard Larkin, 85, and Leah Havener-Larkin, 90, are known as the ‘love birds’ at the Golden Living Center nursing home in Gloucester. “I loved him the first day I saw him,” Havener-Larkin said. Both lifelong residents of Gloucester, the Larkins met nine years ago in their apartment building. John lived on the third floor and said he intentionally made many trips to the second floor where Leah lived. After dating for several months, Larkin proposed and the couple was married in Gloucester on Oct. 3, 2004. Leah’s son walked her down the aisle, and the couple’s children from previous marriages made up the rest of the wedding party. Havener-Larkin is not a resident at Golden Living Center, but said she comes to spend every weekday with John. For Valentine’s Day, the couple may attend the Center’s party, but said they are content just to be together. Linda Koby, of Beverly, is the activities director at Golden Living Center. She said that Valentine’s Day is important for couples like the Larkins and even for seniors who have lost their spouses to still celebrate. “Valentine’s Day should be an experience of all types of love,” she said. The holiday can be tough to get through at a nursing home, Koby said. That’s why she will emphasize love from children, friends and pets, not just from a spouse, at the Feb. 14 party. The party will feature a famous couples trivia game, a Valentine’s Day craft, and lots of sweets. For couples, private tables are set up with rose pedals and candles. Kendra Seavey, 24, of Rockport, agrees. Activities coordinator at the Beverly Council on Aging and Senior Community Center, Seavey said the Center provides activities, social services and events for seniors in the Beverly area. Valentine’s Day is one of the Center’s favorite holidays because it’s fun to see the relationships people still have, Seavey said. This year’s Feb. 14 party will feature Big Smile Entertainment’s A cappella quartet, lunch and raffle games. The party, open to anyone over 60, costs $4 and will last from 10 a.m. to 12 p.m.
For these two couples, though, there’s more to romance than celebrating the holiday at the local Center. “Valentine’s Day means love,” Havener-Larkin said. There is a general timetable for planning ahead allowing enough time for things to flow smoothly when planning any wedding. After you get engaged and the excitement of this subsides you need to start thinking, planning and keeping track of all you have done and still need to do. I am interested to write me an essay for students. Food habits differ from country to country and from person to person. The staple food for Bangladesh is rice. It is also the staple food in many south-east see this site Asian countries including Japan. But in Pakistan and in some part of India the staple food is bread. People in European countries eat bread and potatoes. They also prefer meat to fish. nice post keep it up and more efforts. It's good see such love in them even after so many years. poѕt on оur website. Kееp uρ thе gooԁ ωriting. Wonderful post. By the way, saying write me an essay, students want to receive college papers written from scratch. Skilled writers are always ready to help them. If you need to write good essay and any report which, recommended a cool site. It is so sweet to see how people loves each other through the years and have the same feelings! “I loved him the first day I saw him,” Havener-Larkin said - what could more perfect than these words! Guys, I want to offer you some very useful site about essay writing. St. Valentine day is a day for two lovely people. I really admire by this saying: “No matter your age, you'll always have love in your life,” said by Seavey. I think it is worth to think about it. Also you should think about your own time and don't spend it for boring thinks like writing essays. I advise you to follow this link college essays here and you will save your own time. I wrote an essay about such love. I admire their feelings! Great blog :) By the way, here are some examples of college application essays. Really Nice & Informative Blog!! Thanks for Posting.. It is really nice story. I think that love can come in your life even when you are 80 years old. Thanks for sharing with us their really lovely story. I like the way you write, so I will definitely be back here and hope you will post new articles. By the way - use essay writing reviews for easier your hard paper work! Reading such kinds of articles, let me to think that love is endless and it can appear even in 80 or 90 years. No matter how old are you, you will always have love in your life and it is the main reason why you need to live. By the way, you can easily order your essay on a necessary topic here. The process of custom research work initiated research goal is what it is about the project and the final results of previous research works, the research methodology is concered with the concepts and ideas involved in the project, the findings of any concept or idea of the author, the analysis of the research work. Hello! It i great to know that you someone love you through the years and he with you. If you need good article you can always aadress to online academic writing. Hello, thank you for this romantic story! I think that love it is the best happiness in this world! That is why, you will need a lot of time for your love! Use the best help at http://buy-custom-writings.com this link and be sure that everything will be great! Hello, I want to say that you are very cool couple! Save your feelings for a lot of time and be happy! Also, I have a great information for you! I want to advice the best paper solution at http://custom-writing.net! This writing help save your time and you will get a good grades! I wish to appreciate Bob and Nancy for sharing such an interesting and inspiring life experience. I must admit that i am lucky to come across this post since such posts are rare to get. If you are a student and you need Help with Primary Data Dissertation Results Analysis, we have writers who are ready to assist you at anytime.